Do you also meet the little fury monster sometimes? Marvin is 5 years old. Sometimes, all of a sudden, the little fury monster crops up and sits down on his shoulder. It happens for example when Marvin’s younger sister Lara eats HIS chocolate biscuit or when Marvin is looking forward to his beloved red shirt and learns that it’s in the laundry. In such moments the little fury monster goads Marvin on … and he gets angry and sometimes even furious. Then the fury monster flies away and Marvin feels very sorry for his rage. But only until the day when Marvin learns the “fury monster song” from Katharina, one of Marvin’s kindergarten friends: it’s a very funny song and the monster is not able to bear it! When it hears the song the monster immediately escapes. With this song it’s funny and easy to resist the fury monster! A charming picture book about how children can learn to deal with their feelings of anger, rage and irascibility – lovely illustrated by Manfred Tophoven. Egal, ob Marvins Schwester Lara seine Schokoladekekse stibitzt oder sein blaues T-Shirt ausgerechnet dann in der Wäsche ist, wenn er es anziehen möchte – immer ist das kleine Wutmonster rechtzeitig zur Stelle! Marvin mag das gar nicht, dann ärgert er sich nämlich und wird so richtig wütend! Aber wie soll er das Wutmonster nur wieder loswerden? Kategorien: Bilderbuch, ab 3 Jahren, Bilderbuchschätze. 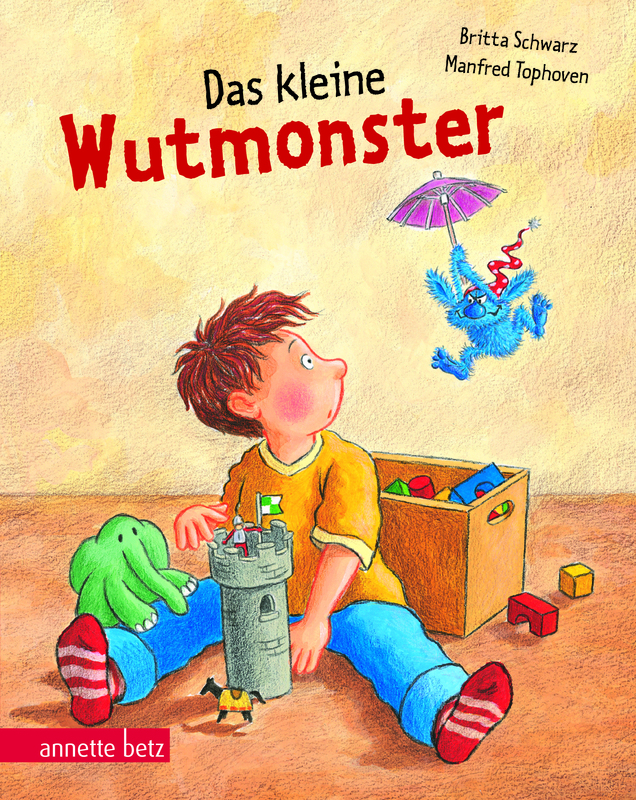 Schreibe die erste Bewertung für „Das kleine Wutmonster Geschenkbuch-Ausgabe“ Click here to cancel reply.